Rolex GMT-Master II Pepsi Bezel 16710. 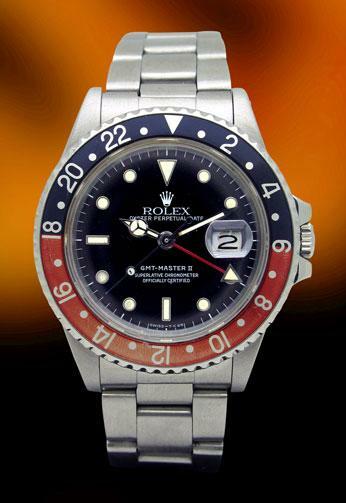 Rolex GMT-Master II Pepsi Bezel Reference 16760 "Fat Lady". 8.4 million serial number, which is circa 1984.